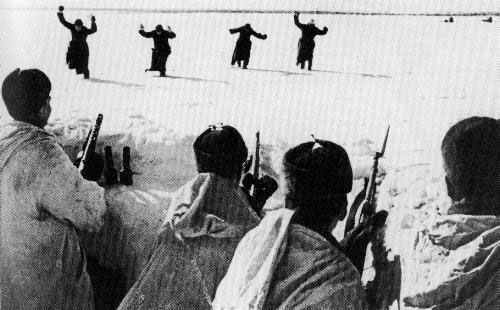 Surrender of Germans at the Russian front. Central Sector: Russian troops advancing north and south of Mozhaisk. On the southern flank they recapture Meshchovsk. Japanese admit defeat by Nationalist Chinese Army in battle of Changsha.